Recommended to: Readers who love a good crime thriller with an ending you won't see coming. When a senseless murder rocks London, Daniel Hunter is assigned to the case. Used to being a voice for troubled youth, it's easy to see why this case is so close to his heart. See, Daniel himself was a troubled youth. He navigated the system, he knows what it's like to feel lost and confused. I think this is why I really liked him as a character. Daniel may be a little blinded by is past at times, but he's definitely got a big heart. Lisa Ballantyne weaves a story that touches on many issues, from morality to mortality, and from childhood to adulthood. Split between scenes from the past and present, each chapter slowly unravels more of both Daniel and Sebastian's stories. I couldn't help but see the similarities between the two of them. Even when I thought I might know what was going to happen next, one of them would do something that completely rocked my world. Ballantyne shows that sometimes it only takes one person's influence to craft what our childhood will turn into. From a forensic and courtroom standpoint, I think this book is also very well done. It is almost as if you are living the trial with Daniel and his ward. Every piece of evidence, any motivations, all of it is laid out in a way that is easy and enjoyable to follow. I can't say that I didn't eventually figure out what the ending would be. However the writing was more than enough to keep reading on to the end, and of course I wanted to make sure I was correct. 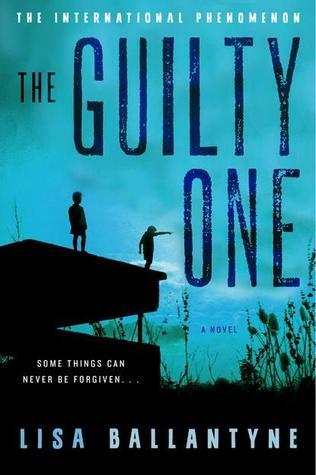 The Guilty One is a book that is well worth your time. Readers who enjoy a good crime thriller will absolutely be drawn in, but even those who normally don't read this genre (like myself) will find a lot to love. Dealing with human nature and behavior, this is very layered read that still feels like it zips by in no time at all. Give it a place on your reading list. I can guarantee you won't be sorry.